ValuePro is a Warren Buffett-style premium stock recommendation service, where Tanushree Banerjee carefully selects a concentrated group of about 20 stocks across market caps using her rigorous 'Buffett would buy' criteria. The mission is to generate a total return of 3x-5x, over a 10-year period, by picking stocks that offer long-term compounding returns with a big margin of safety. As a premium member, you will receive a monthly recommendation report, with a new stock idea, on or before the first Monday of every month. 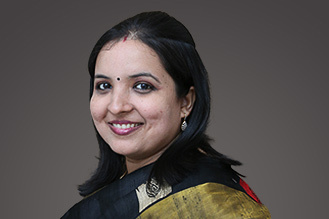 You will also receive regular updates from Tanushree on all the Warren Buffett stocks she has recommended. It is a well known fact that the legendary Warren Buffett is considered as one of the greatest investors of all time. And there is a jolly good reason for this too. By picking up stakes in companies such as Washington Post, Coca Cola, Gillette, American Express to name a few, Buffett and his company Berkshire Hathaway have considerably multiplied wealth over a 46 year period! Now a subscriber in India may not be able to build wealth from the very companies that helped Buffett do so. But there is no reason why Indian companies cannot generate healthy returns the way the Buffett-type stocks have. . After all, while the companies may be different, the approach remains the same. And the qualities that Buffett looked for in companies mentioned in the Berkshire annual reports, can certainly be found in a lot of Indian companies as well. ValuePro is the medium through which subscribers get introduced to such companies. Ultimately, the aim is to achieve a total return of 3x-5x over a 10-year period. The service consists of a monthly report which will focus on one stock idea. Depending on the valuations, this stock will either be a "Buy" or a "Buy at lower price" i.e. when the valuations are more reasonable. In addition to this, subscribers will be informed through reports and mailers if and when the valuations of any stock look expensive from a medium term perspective. Besides, the reports will also cover issues which are relevant to the stock markets. Since the service deals with identifying stocks that meet the 'Buffett-would-buy' criteria, they are diligently analysed with respect to their financial strength and management quality and only recommended when they are available at a discount to intrinsic value which is based on sustainable earnings. The reports are published on or before the first Monday of every month. What is the goal of ValuePro? The goal is to recommend stocks using the "Buffett would buy" criteria. And that means zeroing in on companies that have strong businesses and moats, a healthy balance sheet and good management. Overall, the aim is to achieve a total return of 4x-6x over a 5-10 year period. ValuePro is essentially a recommendation service based on the principles of Warren Buffett. Consequently, we have built two groups of stocks that meet the Warren Buffett criteria. Also, we intend to not have more than 12-15 stocks in each group. Who is the editor of ValuePro? Tanushree Banerjee (Research Analyst), is the editor of StockSelect and, ValuePro Equitymaster's oldest recommendation services. She is also the editor of Equitymaster's most popular newsletter read by over 300,000 subscribers, The 5 Minute WrapUp. Tanushree started her career at Equitymaster covering the banking and financial sector stocks and scrutinising RBI policies. Over the last decade, she developed Equitymaster’s research processes that helped us pick out various multibaggers, across all sectors. A firm believer of "safety first" when it comes to investing, Tanushree closely follows the investing philosophies of Warren Buffett, Jeremy Grantham, and Joel Greenblatt. How long should one hold on to a stock? The tenure of the holding the group of stocks is around 5-10 years. Thus, besides recommending stocks that are a 'Buy', we will henceforth more actively "book profits" in stocks where we feel that the stock is trading at expensive valuations compared to its medium term growth prospects. This is different from the buy it - forget it approach... In fact, subscribers should expect us to remove some stocks from thegroups , and add new ones. Remember, Buffett himself had indicated that had his corpus been much smaller, he would certainly have preferred shorter holding periods for each of the stocks. What are the expected returns? The aim is to achieve a total return of 3x-5x over a 10-year period. What does ValuePro not offer? ValuePro is a generalized recommendation service. We do not offer customized opinions for any particular subscriber or class of subscribers. We are not qualified financial advisors nor Investment Advisors and we strongly recommend our subscribers seek professional advice before taking any decisions for their investments. How should subscribers contact the customer service team in case they have a query? Subscribers can write to us with all their queries. Alternatively, subscribers can call us on +91-22-61434055 between 10 am to 6 pm from Monday to Saturday. We are delighted to inform you that you can try ValuePro completely risk free! There's a 30-day money back guarantee. So if it turns out that you don't like ValuePro, we'll gladly give back every rupee you paid.